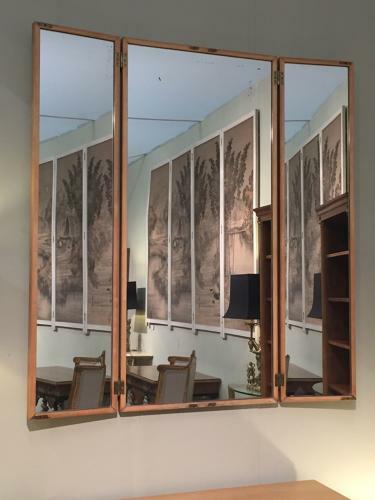 A large and elegant simple framed fruitwood Italian three fold or triptych mirror. Probably a former taylors mirror. Italian c1950. Dimensions when closed 140cm high x 65cm wide.